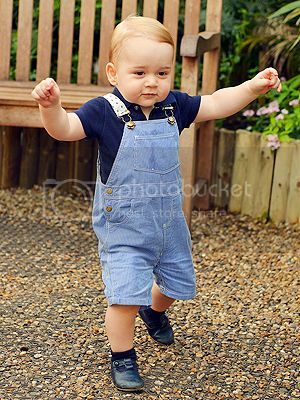 The cutest prince in all the land, Prince George, turns 1 today. This photo, released to the public along with two others, was taken in the butterfly exhibit at London's Natural History Museum in honor of the big milestone. Happy birthday, Georgie! Sofia Vergara and Joe Manganiello are a red hot item, and I like it. The pair started dating after they both attended the annual White House Correspondents' Dinner in May. Muy caliente! Ian Somerhalder from The Vampire Diaries and Twilight's Nikki Reed are also reportedly dating. 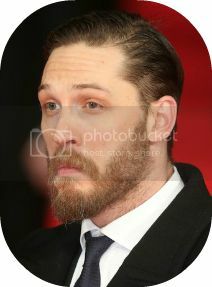 He's 35. She's 26. I don't hate this coupling either. Adam Levine and Behati Prinsloo got hitched over the weekend in Los Cabos, Mexico. The bride wore Marchesa, Robert Downey Jr. was in attendance and Jonah Hill officiated the ceremony. Well, isn't that just precious. I know a lot of people love Adam, but he's never been at the top of my list. 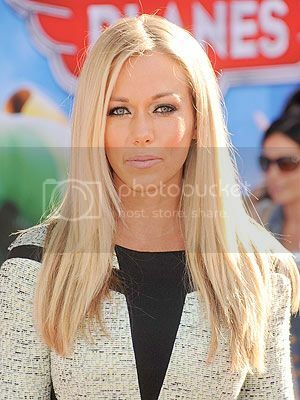 Kendra Wilkinson, much like Tori Spelling, will let the cameras roll as she works through her troubled marriage to Hank Baskett. He supposedly cheated on her earlier this year. It makes you wonder if the cheating allegations are true, or if they're just a ploy for ratings. Then again, what do I care? I don't watch either of these shows. James Garner passed away Saturday night at the age of 86. Mr. Garner has always been one of my favorites. From Maverick to The Rockford Files and The Great Escape to The Notebook, he was a legend on both the small and big screen. My personal favorite is Murphy's Romance with Sally Field from 1985. If you haven't seen it, get to it. It's a great one. I think my favorite James Garner movie is Move Over, Darling with Doris Day. I'm pretty sure it's on Netflix. Super cute, but I'm a sucker the cheesy classic movies. How gorgeous is Prince George, he's going to be handsome that's for sure! Sofia gets all the luck...her & Joe are such a hot couple, she is one lucky girl!! Really surprised to read about Hank & Kendra....maybe it is all about ratings but why would you make up that kind of stuff....the world is a weird place!! Adam Levine is just plain sleazy, not my cup of tea at all....he has dated one model after another, I don't know why Behati said yes to him! 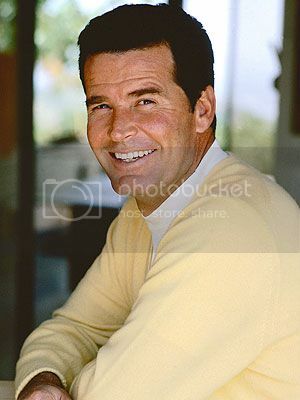 And James Garner....loved him in The Notebook & I can remember my Mum loving The Rockford Files, what a lovely man. I was sad about James Garner. I always liked him. Prince George is such a cutie! Sad about James Garner, I really did love him in so many movies. Kendra - loved her since she was on Girls Next Door, although Bridget was my favorite. George - OMG, those cheeks. I just want to pinch them! George looks like a little man! What a cute, squishy face. I like all these new couples too! So sad about James Garner. I've never heard of Murphy's Romance. I'll have to look into it!